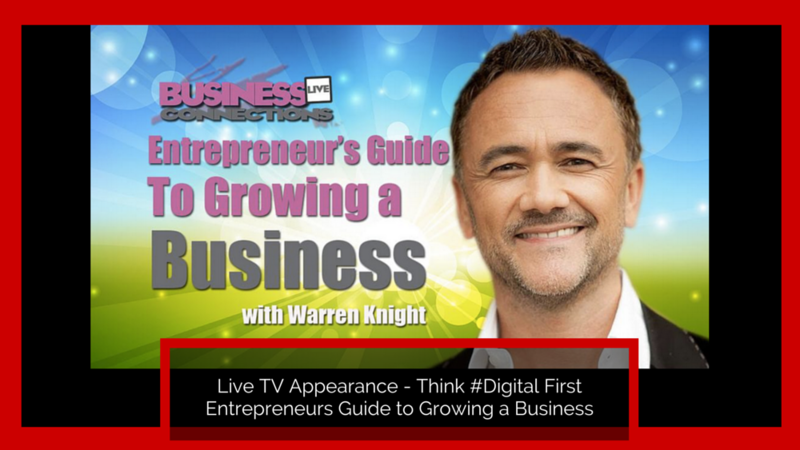 Warren Knight sat down with Business Connections Live to discuss his latest book; Think #Digital First. Think #Digital First is essentially a step-by-step guide designed for creative entrepreneurs, business owners and sales and marketing managers that shares with them the importance of having the right mindset to focus on technology, sales and marketing. Understanding your strengths to building the right team around you and knowing the different platforms, social networks and the right digital tools are so important when integrating them into your sales and marketing to help you market your brand online, saving time and getting sales to grow your business.An entrepreneur’s first step to building a socially-savvy business is accepting that you are the one driving your business forward. To be able to do this in the most successful way, you need to build a social business from the ground up and in each of the below chapters, Warren’s 7 simple steps are easy to follow, packed full of great detail and demystifies the new digital age.